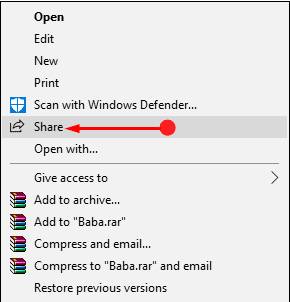 After the Fall Creators Update, we at times might feel the need to either add or remove the Share from the Context Menu of the PC. This is a completely new option included in the context menu of the File Explorer in insider build. With the help of the Share option, one can instantaneously share any pic or video through the installed UWP apps. This is a very useful option as it will help you to directly upload the pic on to the social media and it is something that people these days crave for. Therefore this feature is liked by many yet there are a few who would like to disown this feature as they do not find any use of it.